Giant Liquor the Latest Neighborhood Facade Improvement | Park View, D.C. 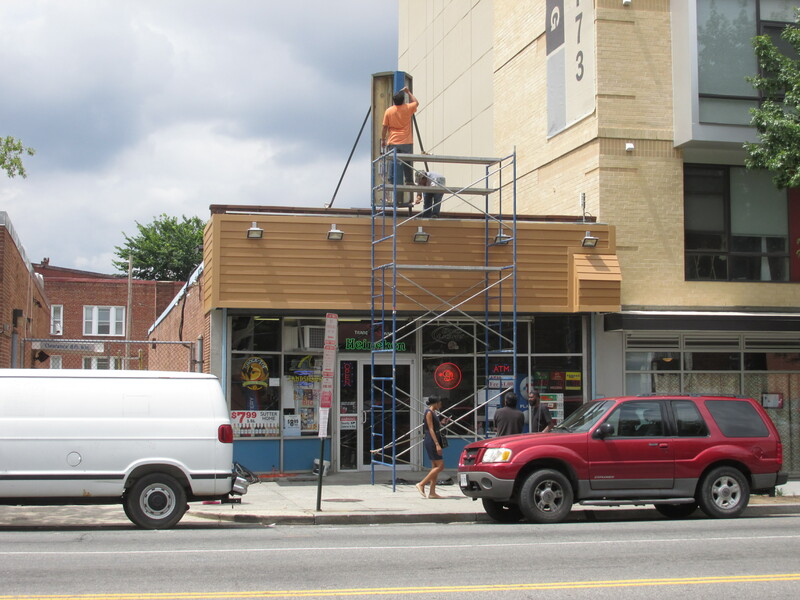 Giant Liquor is the latest neighborhood business to renovate their facade. Giant Liquor is located at 3504 Georgia, just south of Newton Place and north of the Bank of America at Park Road. This facade improvement joins those that have recently occurred at The House and Everlasting Life Cafe. It wasn’t all that long ago that Giant Liquor was considered the best of the Park View liquor stores to patronize. Of course, that was before Lion’s closed, renovated, and reopened in February 2012. Below is what Lion’s looked like prior to renovation. This entry was posted on August 6, 2014 at 7:01 am and is filed under Development. You can subscribe via RSS 2.0 feed to this post's comments. It’s nice to see these businesses fix their facades. Some are pretty crappy. Wish we could also get rid if these Check Cashing places and get in some restaurants and QUALITY retail. On a slightly different topic, I noticed that the Deli owner in the middle of the strip on Georgia between New Hampshire and Quebec was packing up last week. I asked if he was leaving, and he said “Yes, the landlord raised the rent”. The locksmith also left. Maybe there’s hope for a better quality of retail on that strip?? We need a drycleaner, not more liquor stores! We 100% need a dry cleaner. And a gym.